Electronics and Communications Engineering (ECE) students of the Polytechnic University of the Philippines (PUP) won the gold medal at Singapore’s National Engineers Day 2016. 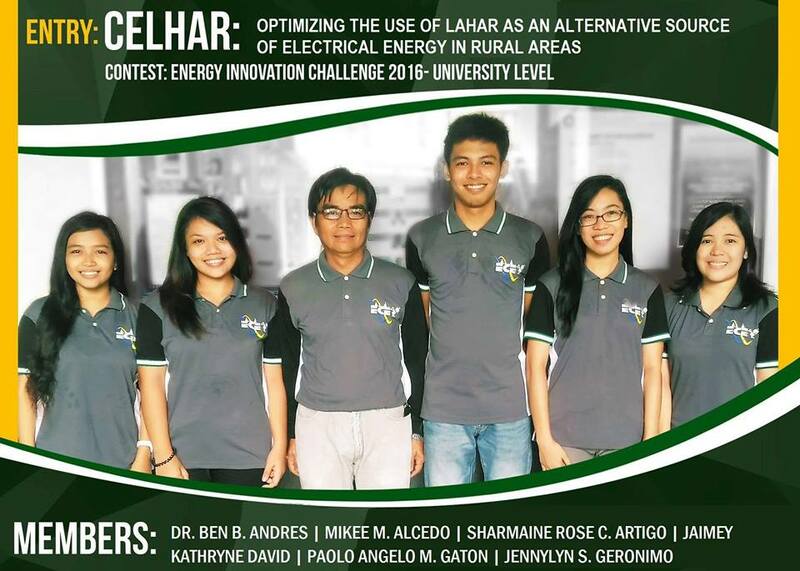 The Team CelHar of PUP won the competition via their entry that uses Lahar as a source of electricity in rural areas. The National Engineers Day 2016 was participated in by 19 other universities from Singapore, Taiwan, Indonesia and Malaysia with other universities in the Philippines sending their respective teams also. The Technological Institute of the Philippines came in second in the same category. Indonesia and the Philippines have a a great amount of lahar since volcanic activity is prevalent in these countries. It should be noted that the 1991 eruption of Mt. Pinatubo deposited lahar in Central Luzon and uses for lahar ranged from construction materials and souvenirs in the said area. This is the first time that the ubiquitous lahar has been made an alternative energy source. The National Engineers Day in Singapore includes the Energy Innovation Challenge wherein universities in the region compete with each other with regards to alternative energy sources and other engineering and electronic disciplines. 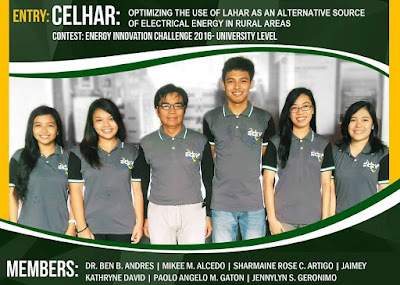 Team CelHar of PUP was led by Dr. Ben Andres from the College of Engineering with members Sharmaine Rose Artigo, Jaimey Kathryne David, Paolo Angelo M. Gaton and Jennelyn S. Geronimo, and Mikee Salcedo.